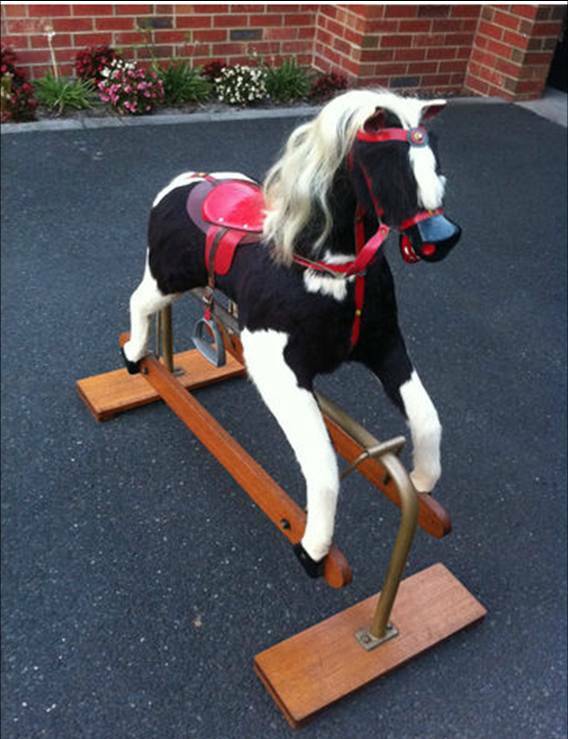 I have a wooden rocking horse that was my mother-in-laws since she was 5 years old she has just passed away at 80 years old. 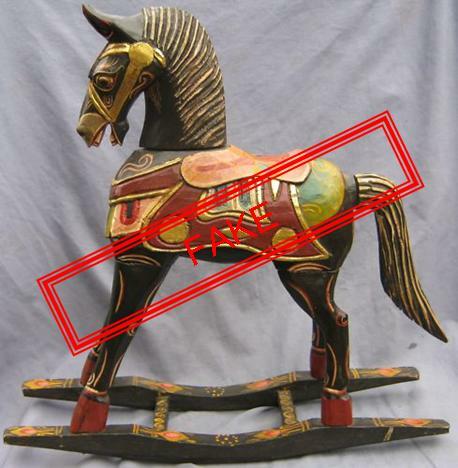 I have a wooden rocking horse with segmented legs and head. We think it may be from MX. How do I tell how old it is and from where? I have an old hide horse on a glider. It is graceful and beautiful and looks exactly like the picture of the one sold in Jackie Kennedy’s auction that belonged to little John. The hide is split and worn. I have a Metal 1909 England Swaying or swinging child’s horse. Horse hooks in on a big blue metal pipe frame.Very strong. Saddle , main, and tail, bridled are some kind of weird old rubber.? 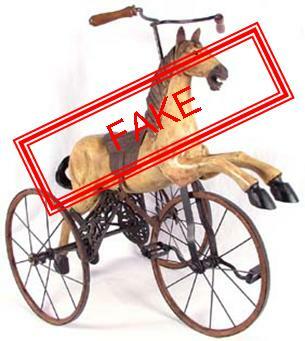 I have a wood hobby horse with a heavy spring on the front and the seat goes up and down. I estimate it is 100 years old. Can you give me an estimate value? It is in good condition and the horse head has leather ears. Howdy! I know this iss kinda off topic but I was wondering if you knew where I could locate a captcha plugin foor my comment form? I’m using the same bkog platform as yours andd I’m having difficulty finding one? 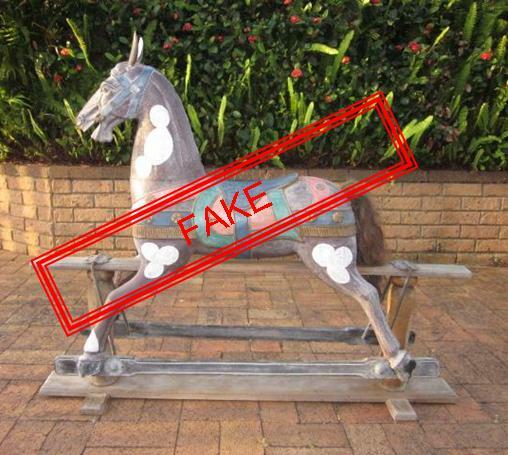 I would like to send you some photos of our rocking horse which is now over 100 years old. It is still has the original paint. It is an enigma as it has metal ears, the Fleur de Lis painted on the front and on each side, 2 small koalas. Patricia Mullins told us years ago that she has one the same but did not know what it looked like ?. 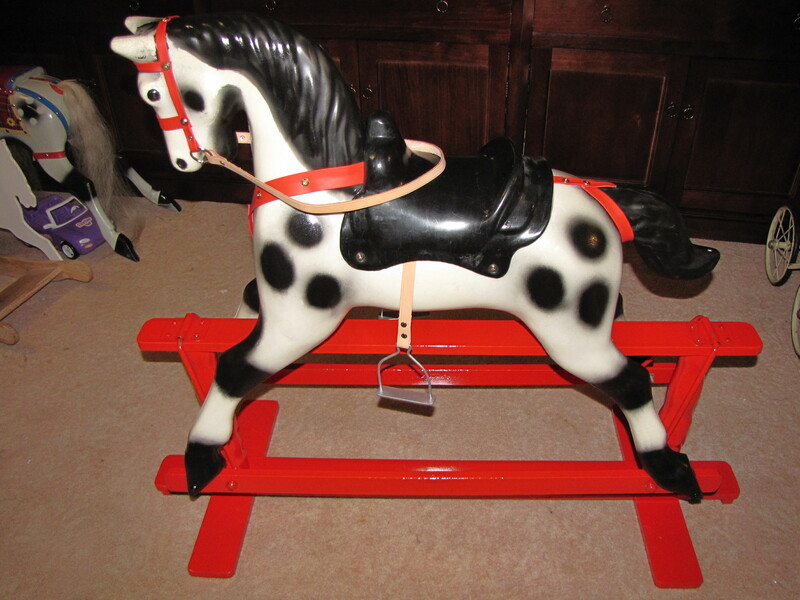 I recently bought a wooden rocking horse from a consignment shop. It has a signature inside the rocker that says “#6 Robert Henry,” with a date of 2001. I’m curious if this means anything. Any info? I have a solid iron rocking horse that weighs 80lbs to a 100lbs,acquired it from my deceased mother in law who was an artist n collected antiques.curious where it came from n it’s value. 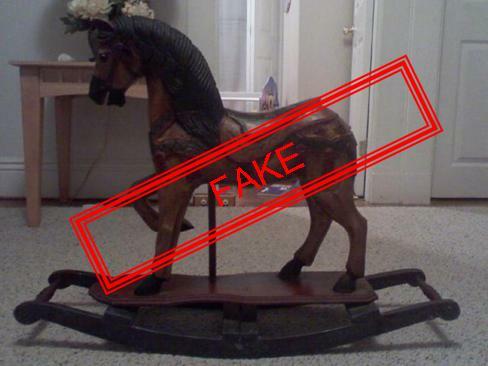 If I send you pictures of a rocking horse I just bought can you tell me what it is?